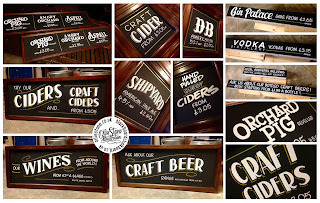 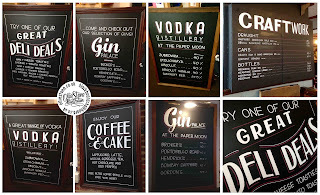 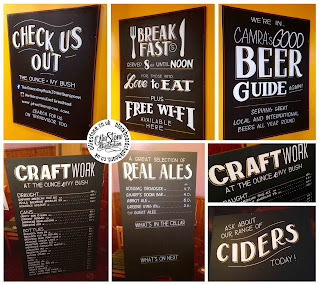 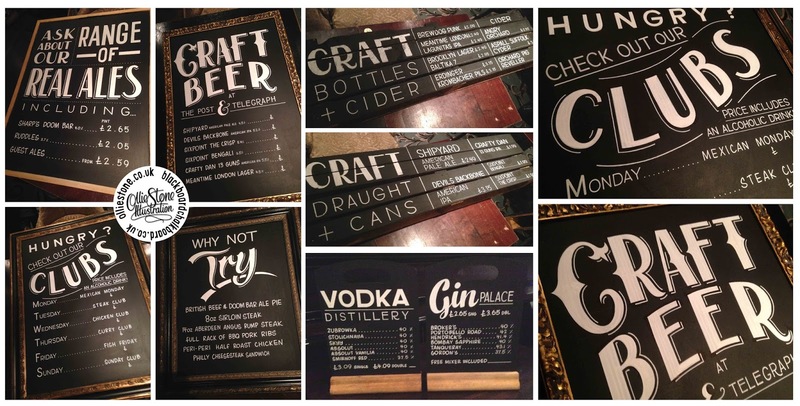 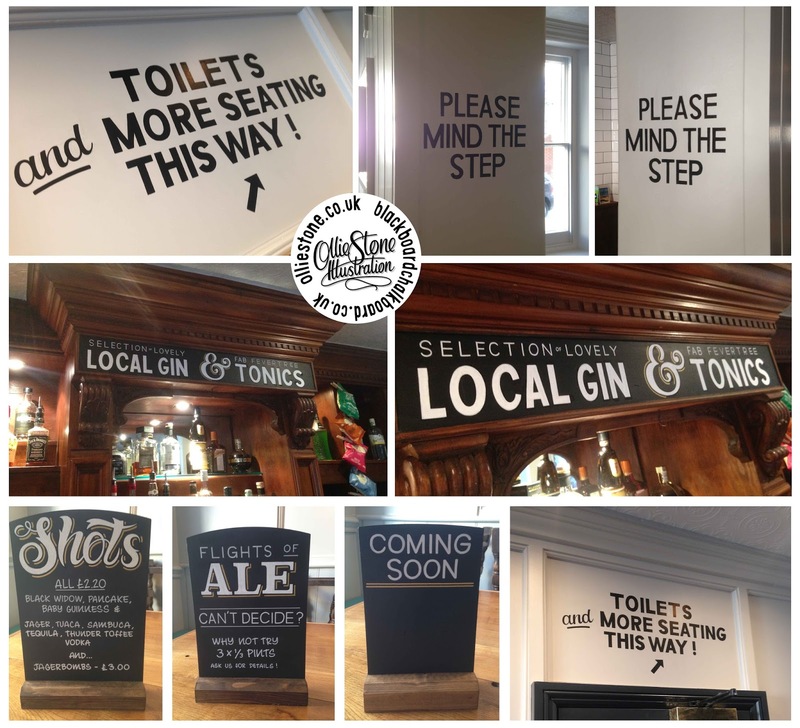 Hand-painted chalkboards and traditional signage. 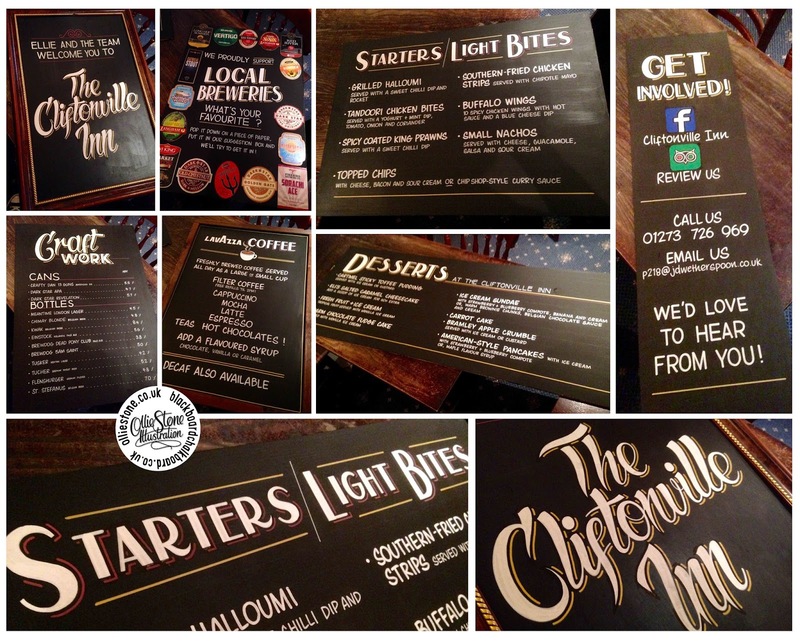 Chalkboards for JD Wetherspoon, The Cliftonville Inn, Hove. 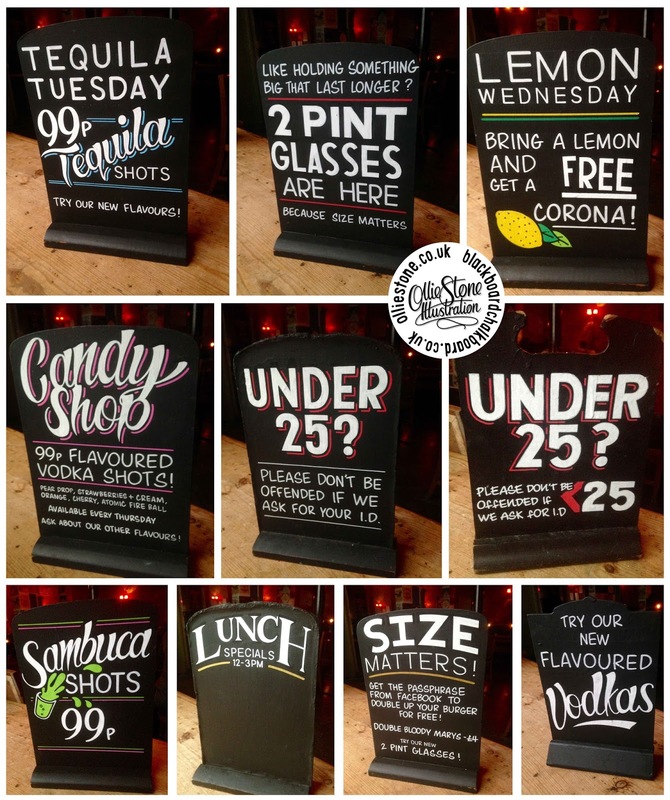 Chalkboards for JD Wetherspoon, The George, Croydon. 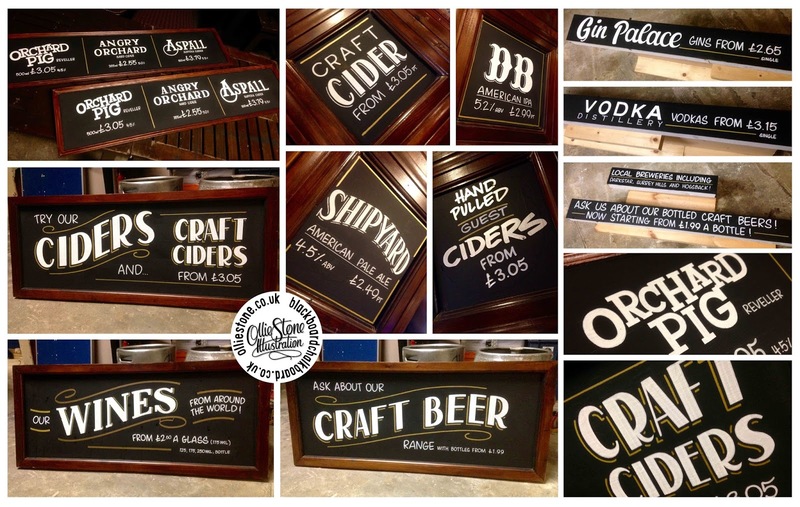 Chalkboards for Indigo's, The Hobgoblin, Brighton. 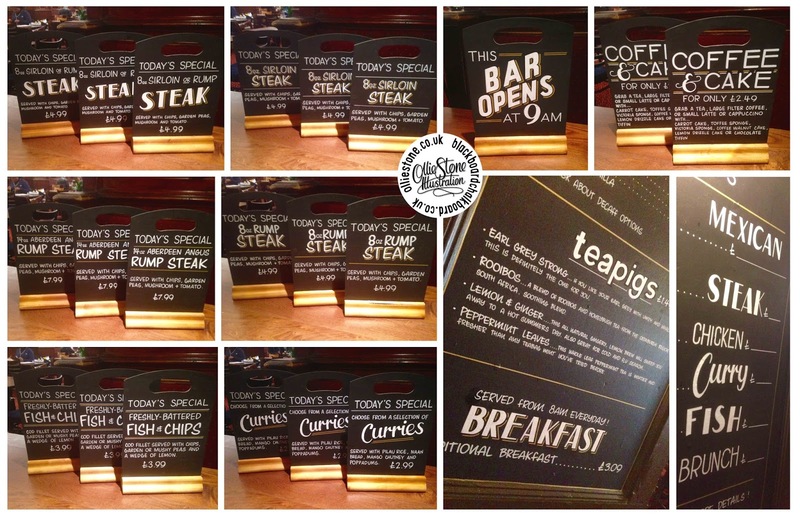 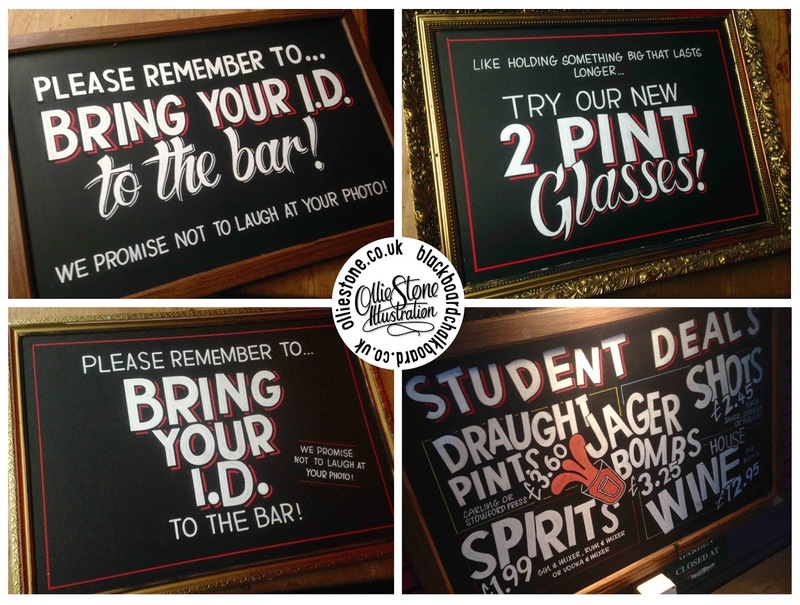 Chalkboards for JD Wetherspoon, The Post & Telegraph, Brighton. 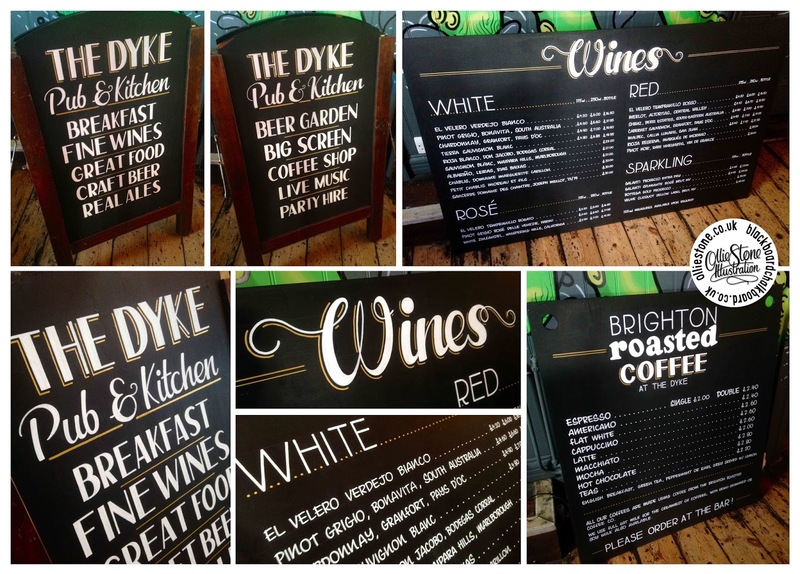 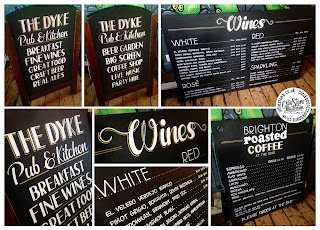 Chalkboards for The Dyke, Brighton. Pub hand-written chalkboard and blackboard signs. 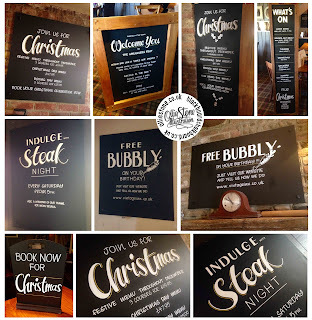 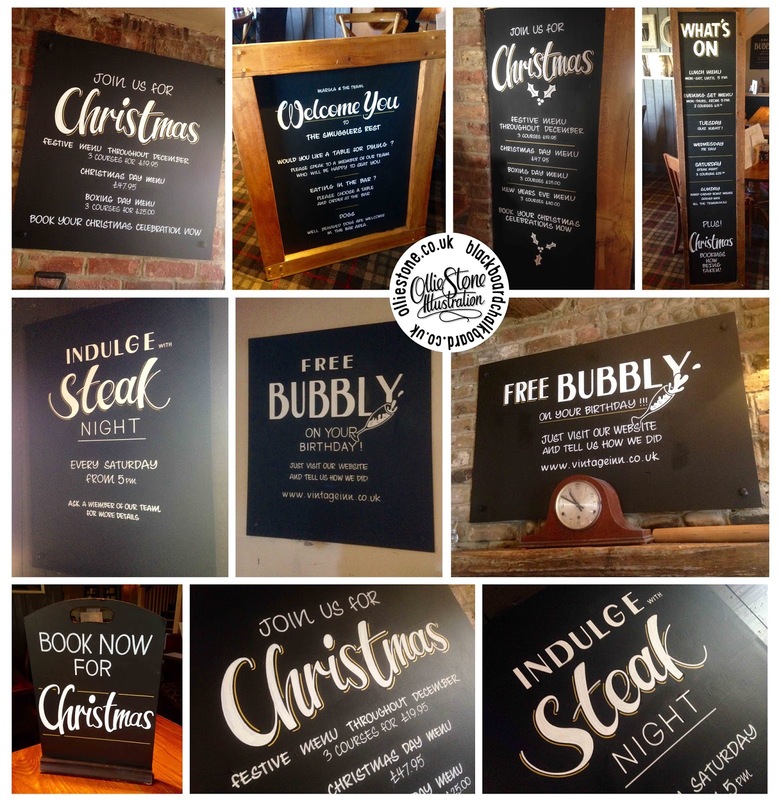 Pub chalkboards for The Edmund Tylney in Leatherhead. 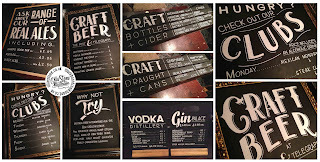 Pub signage for The Farm Tavern in Hove. 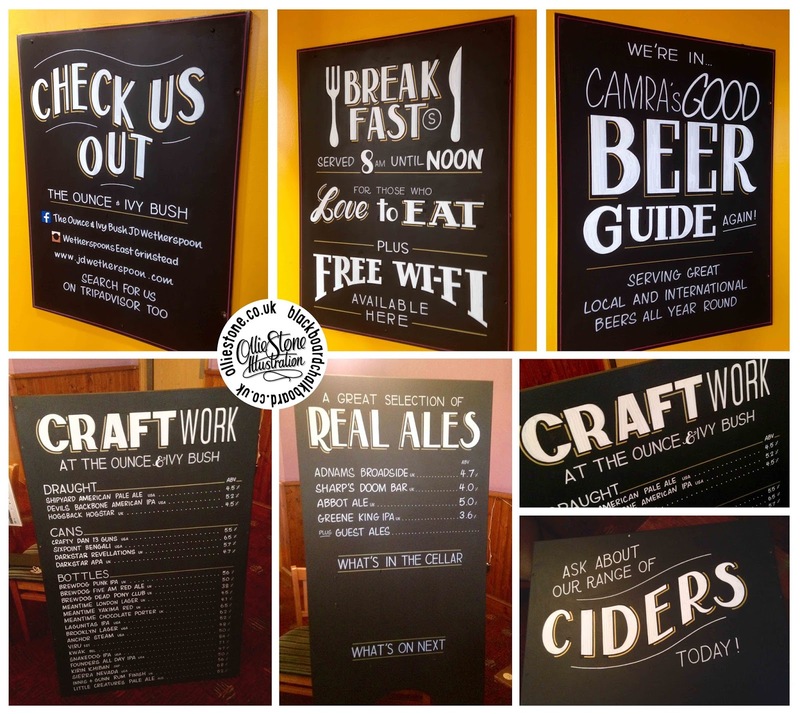 Pub chalkboards for The Smugglers Rest in Peacehaven. 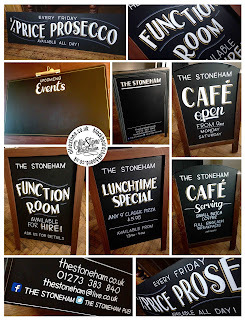 Pub blackboards for The Stoneham in Hove. 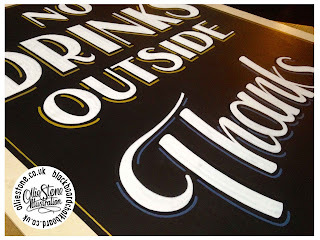 Hand-painted signage. 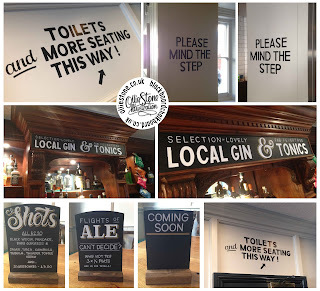 Brighton, Hove and beyond. 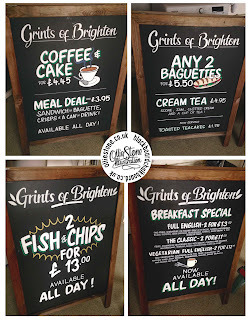 Hand-painted signage at The Battle of Trafalgar in Brighton. 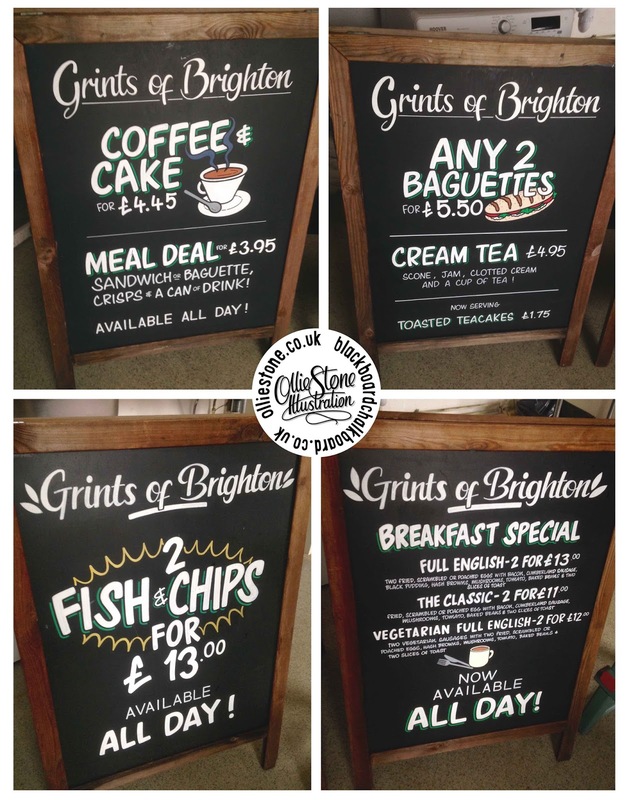 Hand-painted a-boards for Grints Café in Brighton. 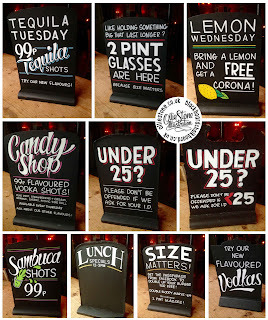 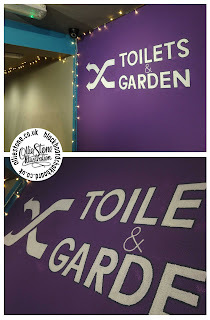 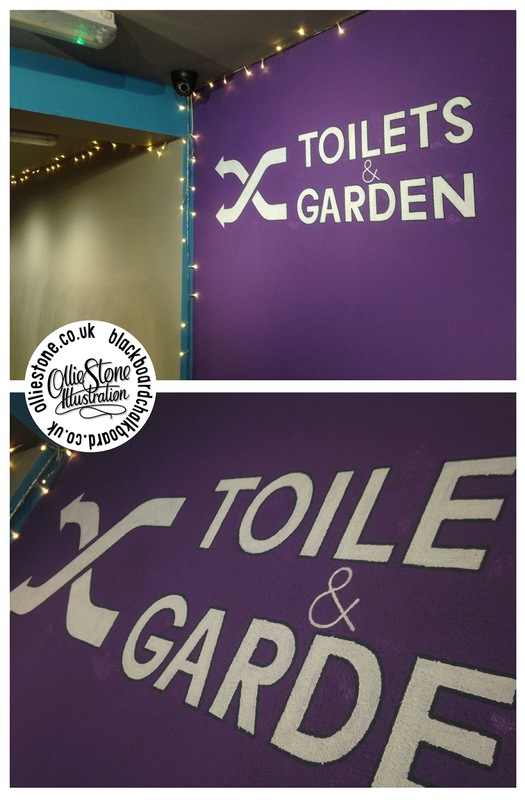 Hand-painted signage at Shuffle Bar in Brighton. 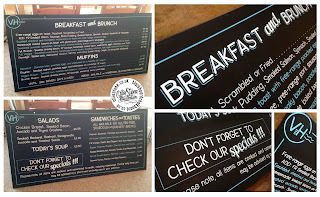 Hand-painted menus at the V&H Café in Hove. 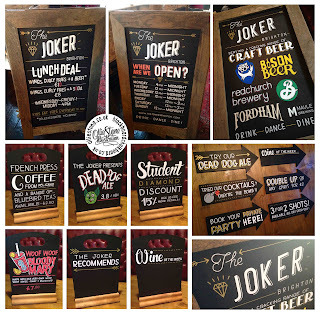 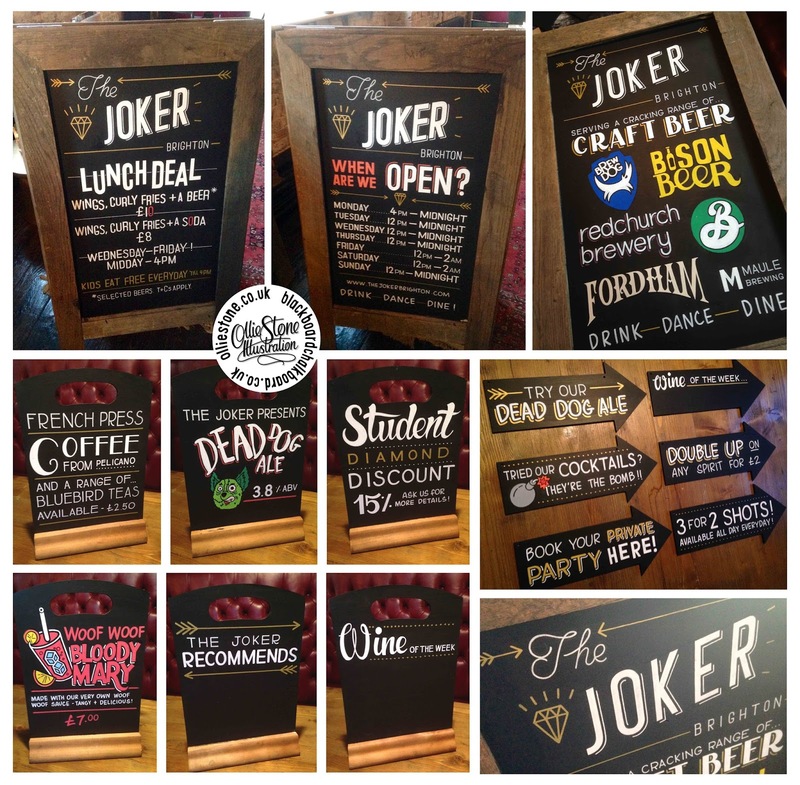 Assorted chalkboard signage for The Joker, Brighton. 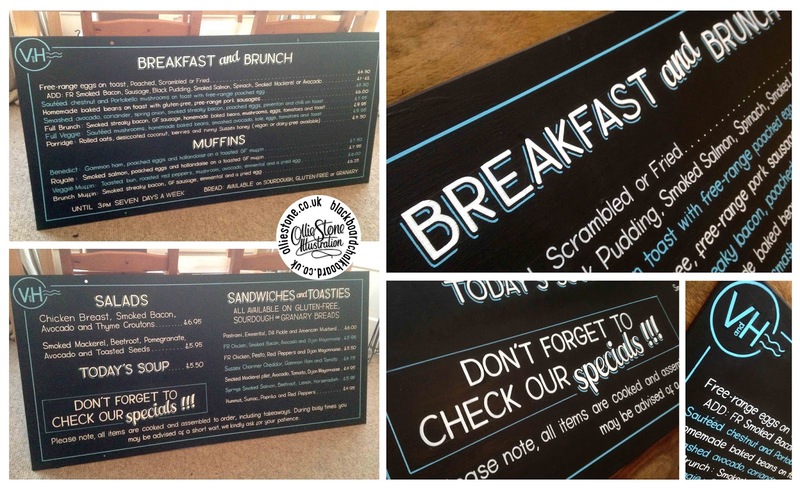 Large chalkboards for The Ounce & Ivy Bus, East Grinstead. Large chalkboards for The Paper Moon, Dartford. 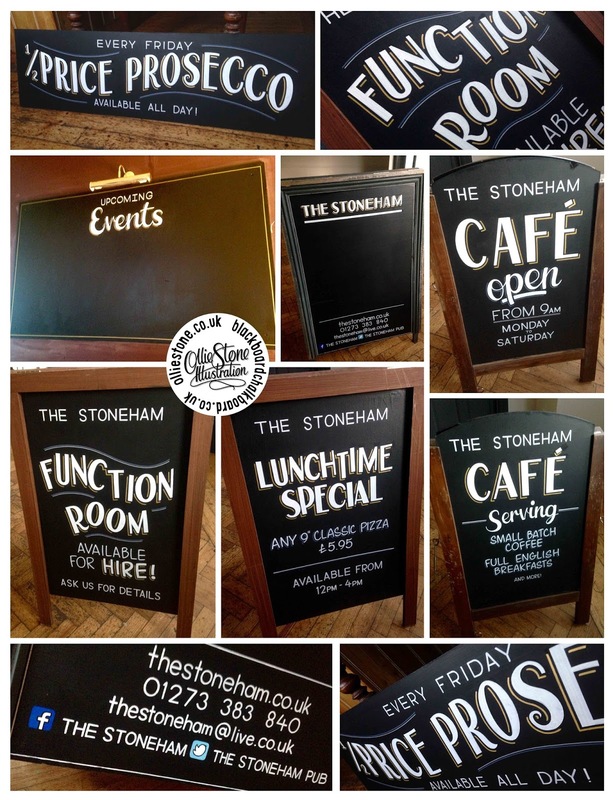 Assorted chalkboard signs for The Post & Telegraph, Brighton. 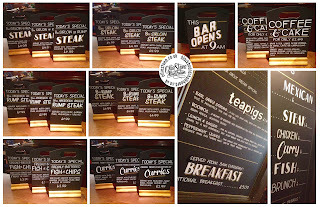 Two café menus for V&H Café, Hove.